Available in a variety of colors. Click here to find out more about this piece. Introducing my newest series: Night Owls. Featuring 3 different owls which are available in standard and custom colors, as a set or individually. 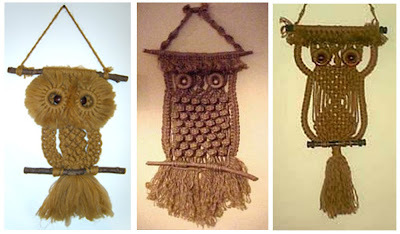 You may notice (especially if you were a crafter in the 70's) that I took a lot of inspiration for the shapes and lines of my owls from Macrame. Even the colors I chose to print in are a little retro -- Avocado Green and Sunglow Yellow -- Visit skartshop online to see more colors. 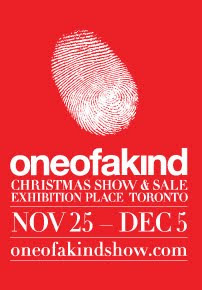 I unofficially announced it a few months ago on Facebook, and now I'm making the official announcement: I am going to be in the One of a Kind Show this year in Toronto. Not only is this my first show and it's HUGE!!! I have to figure out all the logistics of booth design, creating merchandise AND shipping it all to Toronto!!! -- 2 months away. No problem!!! Anyone have advice to offer? ... newbie here trying to figure it all out. Stay tuned for stories of how my prep is going as well as discounts and info about the show. From now until Sept 20th -- they are offering half price tickets. Click here for details. This summer has been filled with lots of travels and work. With the constant go go go and lack of routine it became hard to maintain a regular blogging schedule. I know so many people who have started their own blogs with the best intentions but fizzle out after a few months. Lots of people state, “I have a blog” or “I want to start a blog”. What do they need to blog about? I began to question the idea of blogging itself. Why blog? I Blog to remember. Blogging is definitely self indulgent. It’s MY log on the web. I love looking back at old posts and remembering events or moments I posted about. I’ve actually been keeping journals since high school this is just a more modern way of chronicling events and lessening the clutter on my bookshelves. I Blog to share. 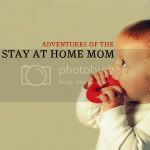 I started my first Blog when my husband and I moved to California. We were so far from our friends and family. Maintaining a blog was a way to keep them updated on what we were doing. Now I share to allow people interested in my art to know a little more about me. I hope that this blog makes the experience of buying something from me a little more personal. I Blog to promote. I am running a business. Blogging is a great way to interact with current and potential customers. It is a way to introduce new products and designs and run promotions. Blogging increases my presence on the web and helps people find me. I also try to make a point of featuring other crafters and small business entrepreneurs on my blog, creating a network of promotions. I Blog to create. I love making my SKidea boards. 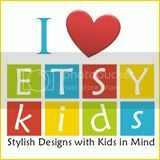 As a designer it’s fun for me to search the web for new products, cute bedding and accessories for kids. It also keeps me on top of new designs for children’s rooms and what the current trends are. After making a SKidea board I will have a million ideas and inspirations for new series. I Blog to entertain. Sometimes, a blog post can be nothing but entertaining. Sometiems I will post a funny story or picture, a link to another site or blog I like, or a tidbit on the latest celebrity I’ve worked with. My aim is to Blog once a week. We all know that is a bit ambitious but it can’t hurt to make that my goal. I don’t have any great message or revelation I need to share with the world. This Blog is just a humble way of chronicling my journey through life, art and business. Bird themed nurseries are big this year. My modern and whimsical Aviary print is available in a variety of colors to match your personal take on the theme. 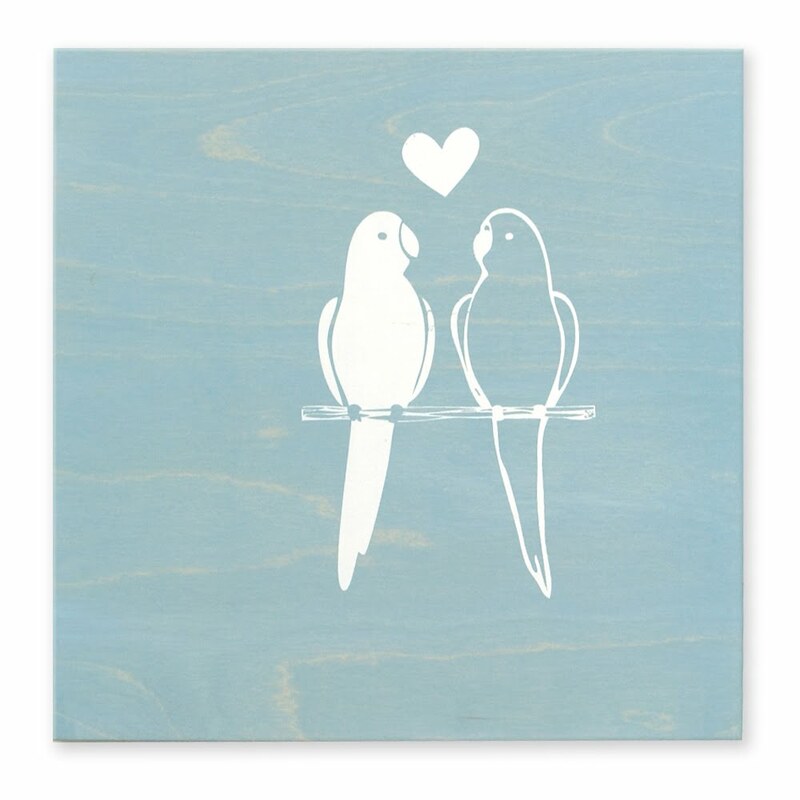 Below are some ideas how to incorporate feathered friends into your nursery decor.